Well it has been a gorgeous Fall day, a great start to the new week and the new month. Growing up in Bermuda, November never really had very much meaning to me. Living on a semi-tropical Island we didn’t witness the change of season as much as our North American ‘neighbors’ to the West and North West of us. November was simply the month that came before Christmas; that seemingly endless time before the beginning of our Christmas holidays and the major two day celebration I so loved. 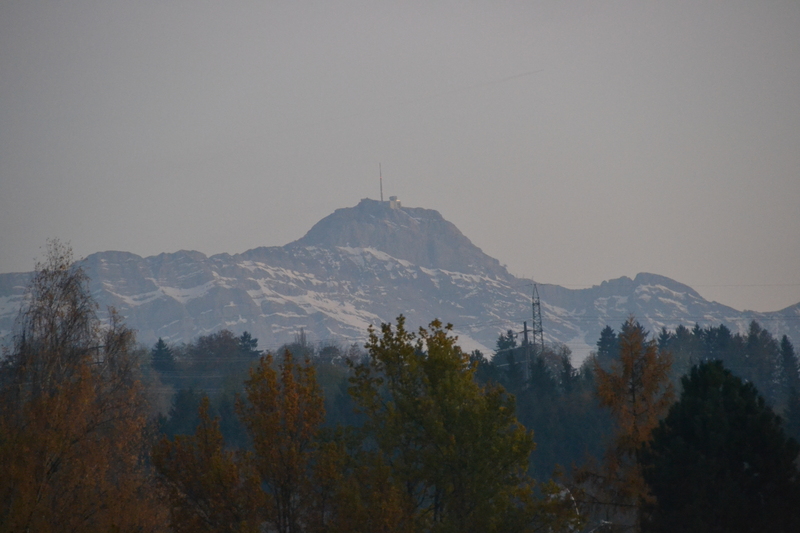 Living here in Switzerland, however, we feel the change of season quite severely. Especially in my village, Mörschwil, which is nestled, between ‘Der Bodensee’ ( Lake Constance), the rolling hills of Thurgau, St. Gallen and Appenzell and the peaks of the ‘Alpstein’ mountain range. It’s location is ‘prime’ fog territory. Usually, November is a month where the fog rolls up from the lake, early in the mornings and doesn’t disappear until early afternoon, if we are lucky. 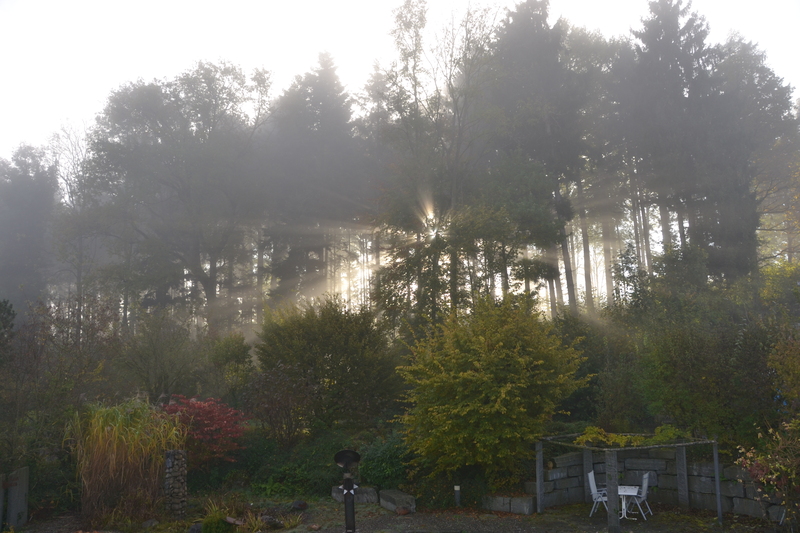 Sunday morning, My garden with the woods behind it. 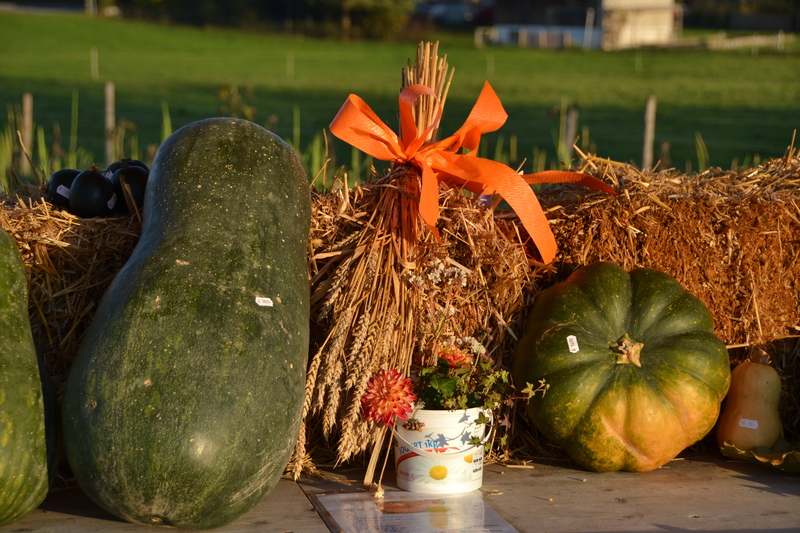 However, this year, with the late arrival of summer in October, we are still enjoying an ‘Altweibersommer’ (Which I believe translates to Old Maids Summer); presumably the same meaning as an Indian Summer. Today I spent some time in the garden getting it cleared up as we had our ‘green waste removal day’ pick-up. Which required me to get out early to make sure I could get all I could into the ‘green waste’ receptacles before the truck arrived. It is only a drop in the bucket, what I got done, but slowly with the help of my husband (on weekends), it is starting to look like a garden again, rather than a forest of weeds and trees. This month I have a lot of plans, organizational and administrative things I need to do, especially with my blog and home life. The end of November will mark my first year of my Home Sweet Dreaming blog, so I will be trying to accomplish all the goals I had set for myself concerning that. I will also be visiting Germany again, for Yves’ granny’s birthday. Then there is the beginning of Advent, as well as Christmas markets and my own preparation for Christmas. Finally, my quilting colleagues are probably wondering when I am planning to do some actual quilting. Well I am still hoping to start a new quilt and I will continue to hand quilt my Half-Square Triangle Quilt. I am often tempted, as I come to the end of quilting the Half-Square Triangles, to give up the hand quilting and to do the border by machine, quilting simple straight lines. But it would be a shame and for me, a crime. So I stitch on. 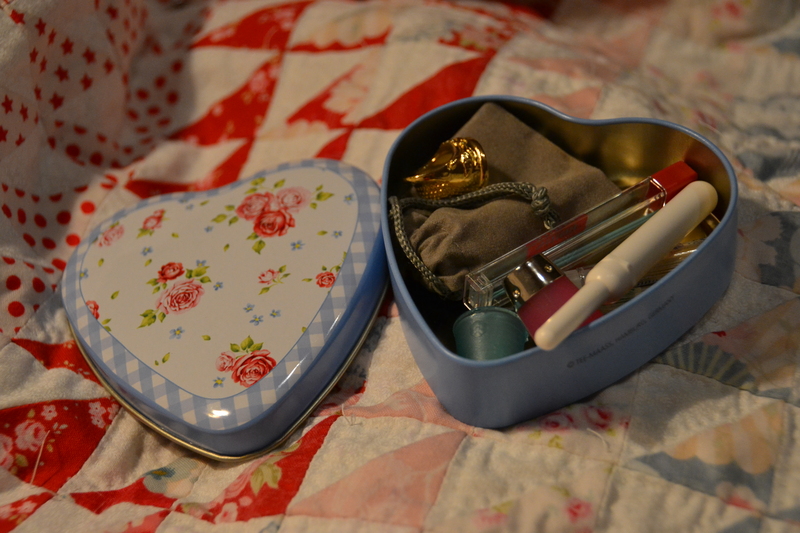 My new beautiful mini sewing case, given to me by my mom. Laying on top of my Half-Square Triangle Quilt. I think what I need to do is start a new project, so that I can just have a break from it for a little, only quilting for meditative purposes, rather than it be my only creative project going on right now. Well today has been a very positive and productive day. Hopefully, I can pass over to you a little positive energy that I am feeling about the month ahead. So now, what about you? 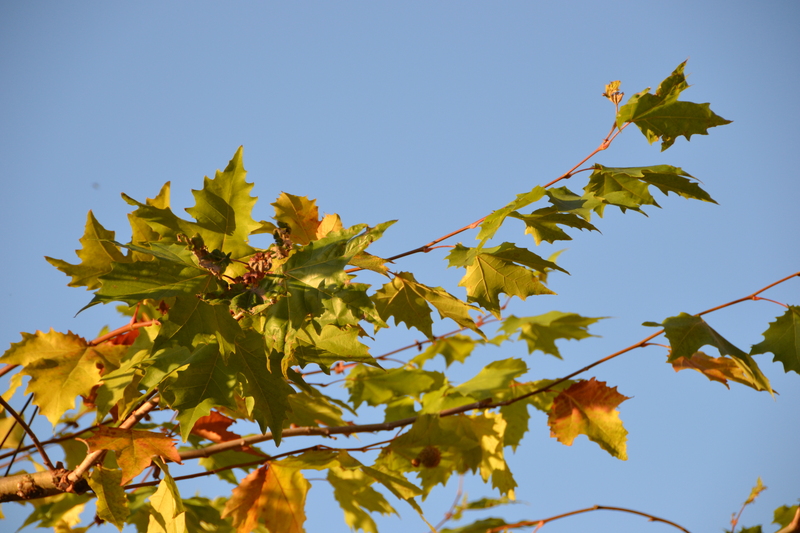 Do you love or loathe November? What plans do you have for the month of November? What kind of challenges have you set for yourself, this month?